Press Release: mothercoat New MV ‘trickster’ Released & Upcoming EP Announced! We are very glad to announce that our new EP is going to be out on February 14th from our own label ‘bonjin_records‘. This is a year and 7 months after the last release ‘Allergies’ mixed by Fernando Lodeiro (Vampire Weekend, Paul McCartney, Franz Ferdinand, The Arctic Monkeys) & mastered by Oscar Zambrano @ Zampole Studio. The title is ‘5 – 1 + 1 =‘. This CD will only be sold at gigs and bandcamp after February 14th for everyone outside Japan. 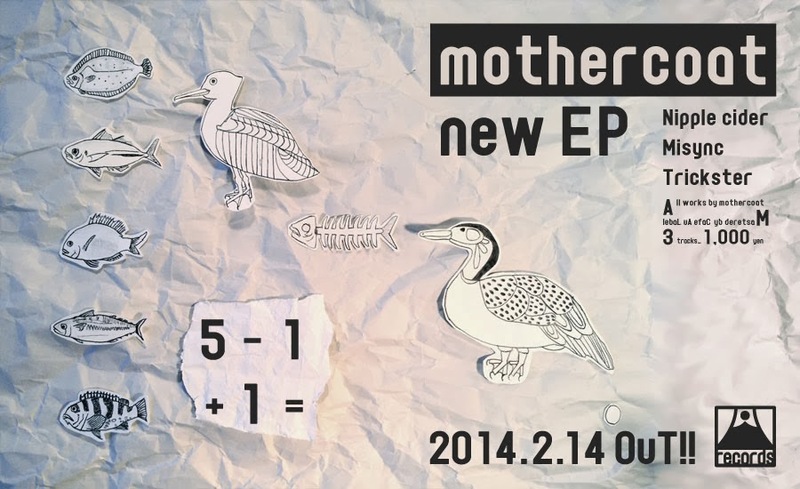 Samplers of all songs are available at http://www.mothercoat.com/en. These CDs are a limited edition of 511 pieces from the title of the EP, so we strongly recommend you to get it soon after the release date before it is sold out. Since 2002 with several member changes, mothercoat have developed a cult following across the UK, America and Canada where they have toured extensively and played several showcase gigs at the SXSW and Rockness festival. In regular demand at big venues across Japan, they are quirky, innovative and exhilarating. If you haven’t already seen them, you undoubtedly should. Their music have been found worldwide for great commercial use such as in a film “LOST ON THE B SIDE”(US), in the World No.1 snowboarder’s DVD “Ultimate Ride: Shaun White”, appeared in TVCM of Spanish broadband communication and entertainment company “ONO” and being a character of iPhone App Game “Band Boss” as a representative of Japanese bands. From 2012 mothercoat sets its basis on Fukaya-City in Japan with a private studio and a vegetable field to devote itself into music even more. They’re looking forward to getting to meet partners to release/promote/booking them internationally. Eir Aoi/ Press Release/ Sony Music Entertainment (Japan) Inc.
Eir Aoi releases her long awaited new album. 2nd album “AUBE” available now! Since releasing her smash hit 1st album “BLAU”, Eir has been actively performing on various big stages, which has increased her presence in Japan and around the world. 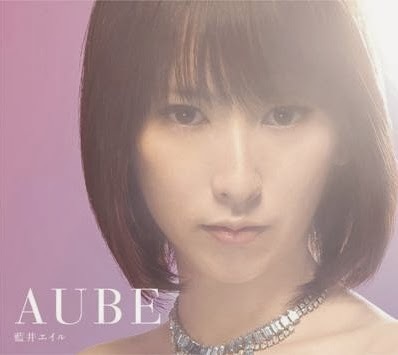 A year later, Eir Aoi is now releasing her new album “AUBE” which fans from all around the world can enjoy! The title “AUBE” which means ‘dawn’ in French, symbolizes Eir’s fresh new energy to start off the break of dawn. This new album is packed with several tie-in songs including “Sirius”, “Sanbika” and “Niji no Oto” from the hit anime series “Kill la Kill” and “Sword Art Online” respectively. “AUBE” not only showcases Eir’s singing abilities but also her increasing allure as an artist, which make this a must listen to album! Eir Aoi has loved singing since she was a child, and at high school period, she sung in a band she had formed. After graduating from high school, she gave up her music career once but continued performing publicly. Her impressive and beautiful voice are easily recognizable and she has been selected to sing the ending theme song for the TV-anime series “Fate/Zero”, which was released as her debut single called “MEMORIA” on October 19, 2011, achieving the #8 position on the Oricon single chart selling nearly 60,000 units. In April 2012, Eir released an album “Prayer” which was a concept tribute album for the TV-anime “Fate/Zero”. In May this year, she had a first live event in Tokyo, where she fully unveiled her face which had been mysteriously and artfully hidden on all pictures. In August, she performed at the up-and-coming anime song festival “ANIMELO SUMMER LIVE 2012” capturing the heart of 30,000 attendees. Following this success, she held her first solo concert in September and drew 600 audiences for the first concert, and released her 2nd Single “AURORA” – the opening theme song for TV-anime “GUNDAM AGE”. On November 2012, her single “INNOCENCE” was released and chosen as the theme song for the TV-anime series “Sword Art Online (ALO arc)”. It became a smash hit achieving the #6 position on the Oricon single chart. Currently, Eir’s Facebook page gathers more than 246,000 “likes” from all over the world, and shows how much attention she draws internationally. Eir is certainly the anime song diva of next generation. HOME MADE KAZOKU/ JRock/ Press Release/ Sony Music Entertainment (Japan) Inc. Since their major debut in 2004, HOME MADE KAZOKU has now released a total of 25 singles and 7 original albums. 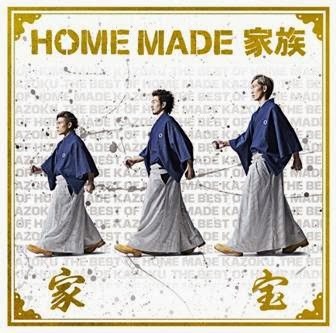 They celebrate this achievement and their 10th anniversary year by releasing their very first BEST album, “Kahou- The Best of HOME MADE KAZOKU-”. This album is fully loaded with 17 hit singles, features “Thank You” (theme song for the anime series “Bleach”) which achieved over a million downloads and “Shonen Heart” (theme song for anime series “Eureka Seven”) with 1.3 million downloads. Also included are two of their 10th anniversary singles “Kimigaitakara” and “Hashiritsuzukeru”. HOME MADE KAZOKU kicks off 2014 with their very first BEST album, which is now available internationally in 20 countries. Argentina, Brazil, Chile, Colombia, Peru, Canada, U.S., Finland, Sweden, U.K., Italy, Spain, France, Germany, Austria, Swiss, Holland, Russia, Australia, and New Zealand. HOME MADE KAZOKU is a trio, consisting of members Micro, Kuro, and DJ U-Ichi debuted in May 2004 and won acclaim as the best upcoming artist of the year on the Japanese music scene. The following year their first full-length album, ROCK THE WORLD, achieved #5 on the Oricon national chart, with over 300,000 sales, and stayed in the top 20 for two months. HOME MADE KAZOKU created a buzz with their tracks featured as theme songs on many hit anime series, such as Eureka Seven (“Shonen Heart”) and NARUTO (“Shooting Star”, “FREEDOM”,”NO RAIN NO RAINBOW”). In 2008, their album, Thank You! !, hit #5 on the Oricon chart, the following year HOME MADE KAZOKU headlined their first tour in Japan, including a sold-out show at the Nippon Budokan in front of more than 10,000 fans. In 2013, the trio returned to the U.S., for a successful performance at OTAKON, the largest anime convention on the East Coast.